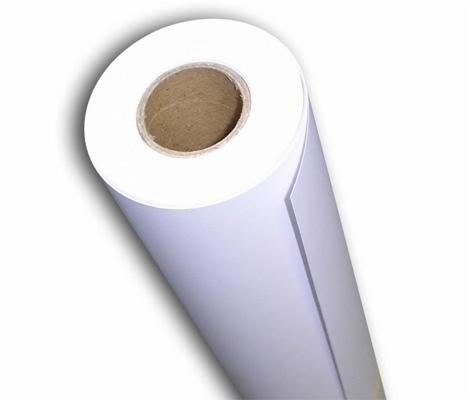 Item Code: Features:FA-100gsm Roll Size Fast Dry Sublimation Paper - Transfer Color is very Vivid. This kind paper a little thinker, so it can pick up much more ink. paper is stronger. Not easy to have the wove when you print. Sublimation paper printing works best on 100% polyester apparel, cosmetic bags, totes and so on. 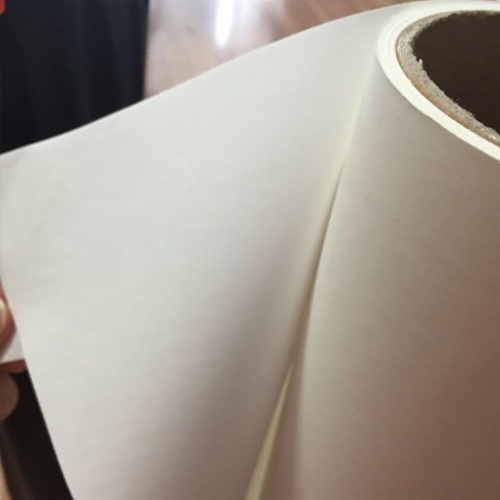 Feature: Roll Size Fast Dry Sublimation Paper - Transfer Color is very Vivid. This kind paper a little thinker, so it can pick up much more ink. paper is stronger. Not easy to have the wove when you print. Sublimation paper printing works best on 100% polyester apparel, cosmetic bags, totes and so on. Heat transfer, sublimation paper used in clothes, shoes, caps, pillow, bag, suitcase, wowel, advertising flag, calendar, recyclebags, flag, metal product, glass etc. Dye sublimation inkjet printing technology is becoming popular in various personal and industrial applications. 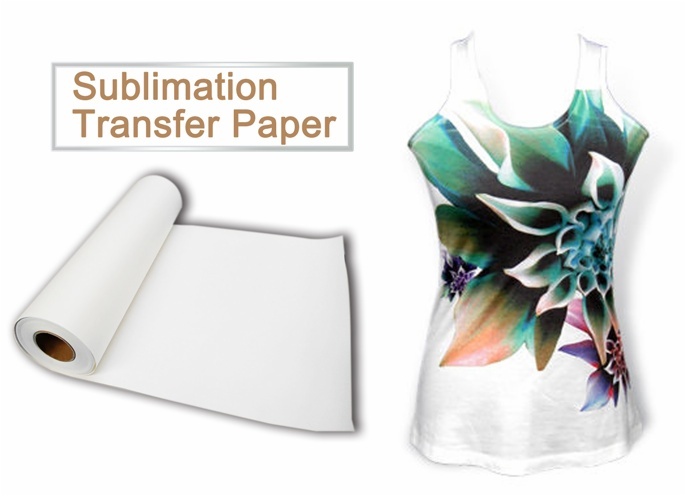 Sublimation transfer paper must be printed by sublimation ink, transfer rate highly to 93%.It with high quality graphic and best color retention . Adapts to polyester fabric , coated mug, ceramic plate, CD box, sports wear,mouse pad, pillow case,advertisement flag and etc. Could not use on the 100% pure cotton textile. 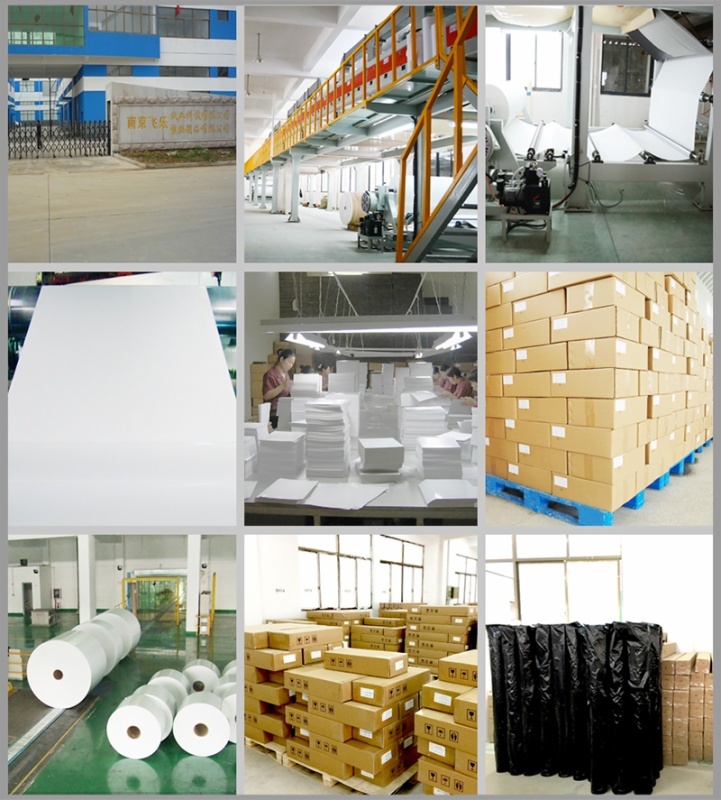 - Sublimation Paper specialized paper for sublimation ink, natural color, transfer rate highly to 95%. - Transfer to polyster goods, coated mug, ceramic plate, CD box, glass, mouse pad, pillow case, key buckle, metal and so on. 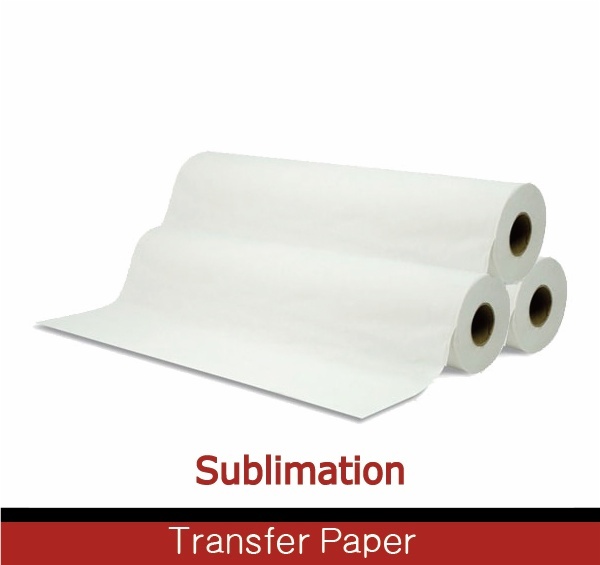 - Note: This paper must be printed by sublimation ink, Could not use on the 100% pure cotton textile. APPLICATION Cycling wear, Swim & Surf wear, Sports uniforms & Jerseys - Home stuffs such as Curtain, Blind, Cushion, Table cover, Towel, etc. - Advertisements: Flags, Banners, Felts, Home textiles, etc. - Hard materials: Ceramics, Metal plates, Skis, Snow boards, Mugs - Others: Mouse pad,Calendar, Glassware, etc.